Marlene Power, founder of Carp Ridge Forest Pre-School and the visionary behind the headquarters for Forest School Canada, has heard them all. Mostly, parents’ initial reaction is “That’s so cool.” But there’s also skepticism. A school in the forest? Year-round? In Canadian winters? That’s because we have become accustomed to a school having four walls. But ever since Power read Richard Louv’s Last Child in the Woods, she has been determined to help children reconnect with nature. She began in 2008 by creating the Carp Ridge Forest Pre-School. After two years, she was ready to expand her vision. In her search for a natural setting closer to the city, she found the Wesley Clover Parks, the Terry Matthews venture located at the former home of the Nepean National Equestrian Park. That requires educators who know when to offer insight into the learning process and, more importantly, when to stay out of the way. 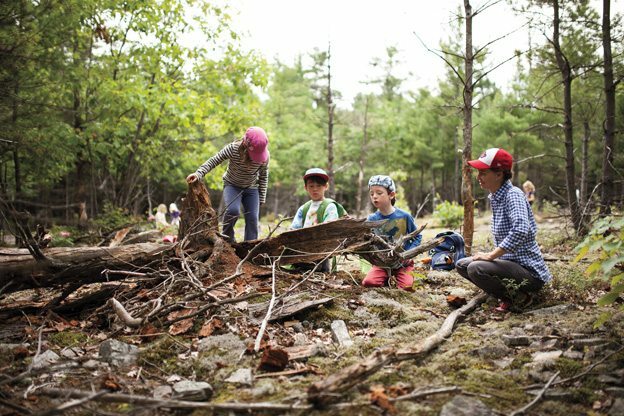 Forest School Canada will also allow Power to train outdoor educators looking to start similar schools elsewhere in the country, as well as teachers with public school boards. In that sense, Power is creating not just an outdoor school for children but also a hub for a new form of education in Canada.